Thanks for coming back to my blog! It was a rather exciting coastal themed August for me. What is wonderful about working for TCV, is that every now and then, you receive an email containing an absurd proposal. 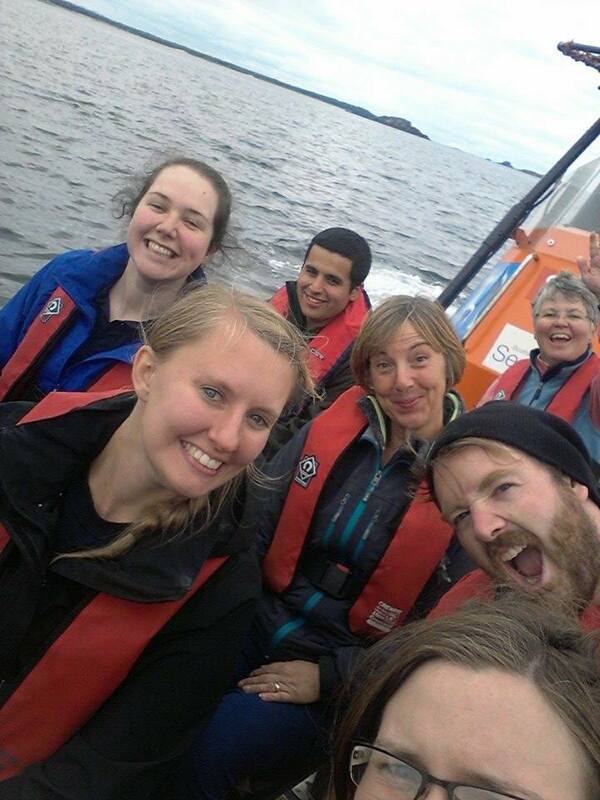 Some of the most exciting have included: ‘Would you mind paddling a canoe out into a lagoon towing a raft for rare birds to nest on?’, ‘Would you like to help build a dry stone wall in the deepest darkest remotest highlands of Scotland?’, and the most recent ‘Some Puffins need help on an Island off North Berwick, fancy it?’. 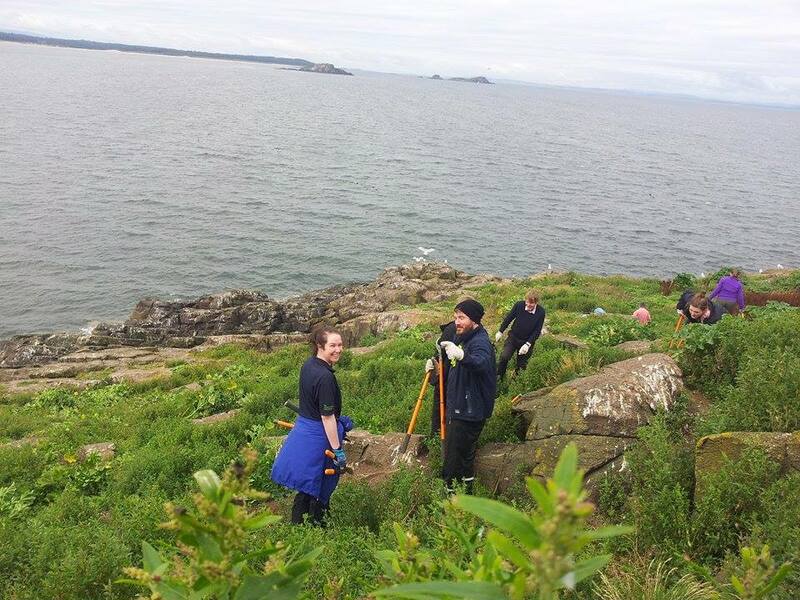 So off I went, on my first ever trip to North Berwick with TCV’s Edinburgh volunteers. 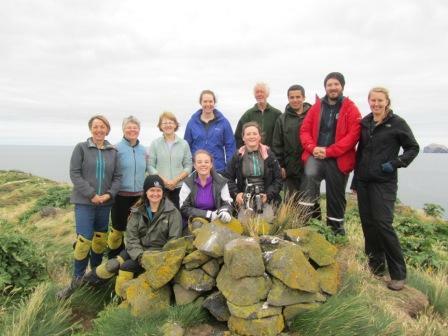 We joined a project called SOS Puffin, led by John Hunt, which was set up to reverse the decline of Puffins nesting on Craigleith Island. The Island was once home to 28,000 nesting pairs of Puffins, a red list species, but the population crashed massively to just a few thousand. This was due to an invasive plant species called Tree Mallow which is not native to Scotland. 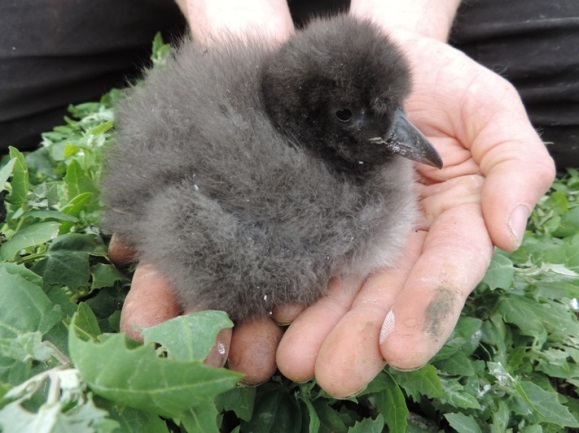 It was introduced to the Island 300 years ago and is so prolific; it grew up tall all around the Puffin burrows so that they were unable to use them to raise their Pufflings. That’s right, PUFFLINGS. 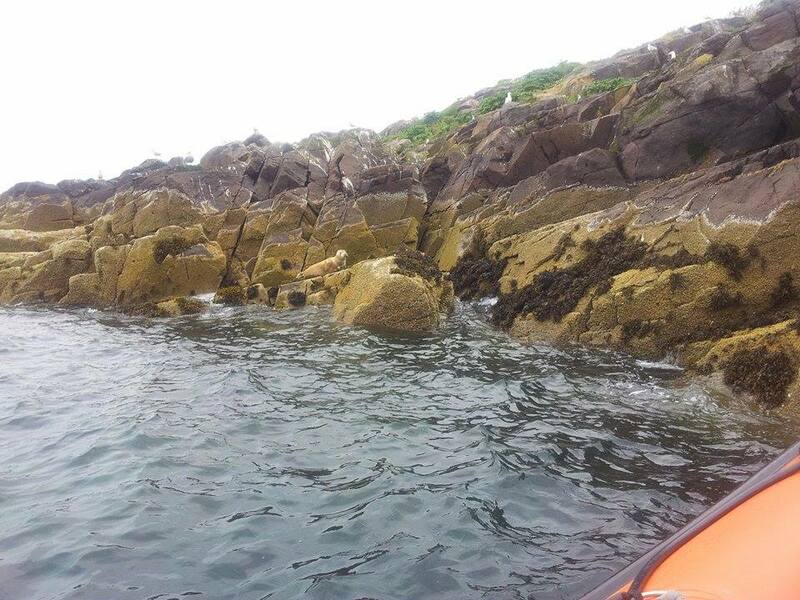 Our task was simple, we had to take a boat out to Craigleith, jump out onto the rocks (there is no landing place on the island) and cut down as much tree mallow as possible without stepping on any puffin burrows, and not get attacked by angry gulls that still had chicks on the island. Prize for who can spot the mammal?! It was such a physically demanding day but hugely satisfying every time you uncovered a forgotten burrow. John told us a story of how he was out on the island cutting back the mallow in early spring, just as the puffins were arriving, and as he and his volunteers cut the tree mallow down, the puffins were flying in behind them to check out the newly opened up burrows, how amazing is that! An instant positive result! 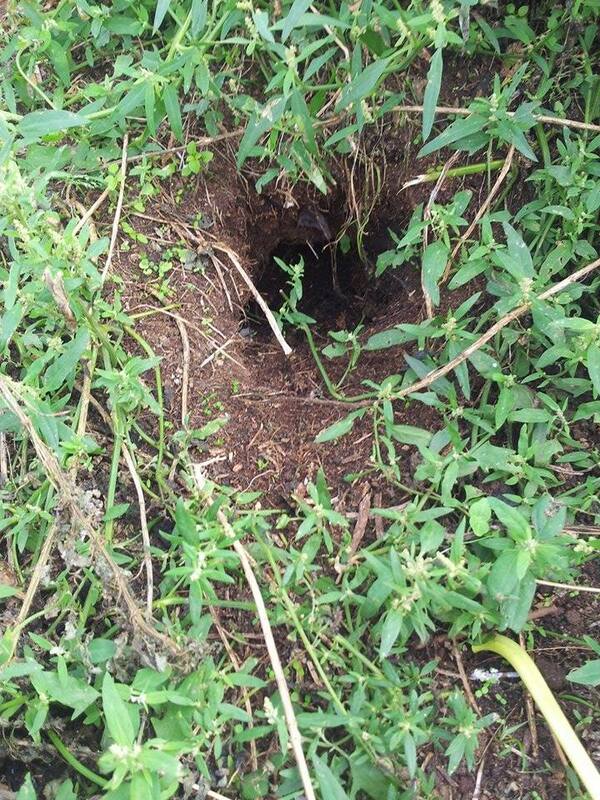 A real life Puffin burrow! I liked North Berwick so much; I was back there again the following week. This time I was doing a Marine Mammal Medic course with The British Divers Marine Life Rescue (BDMLR). 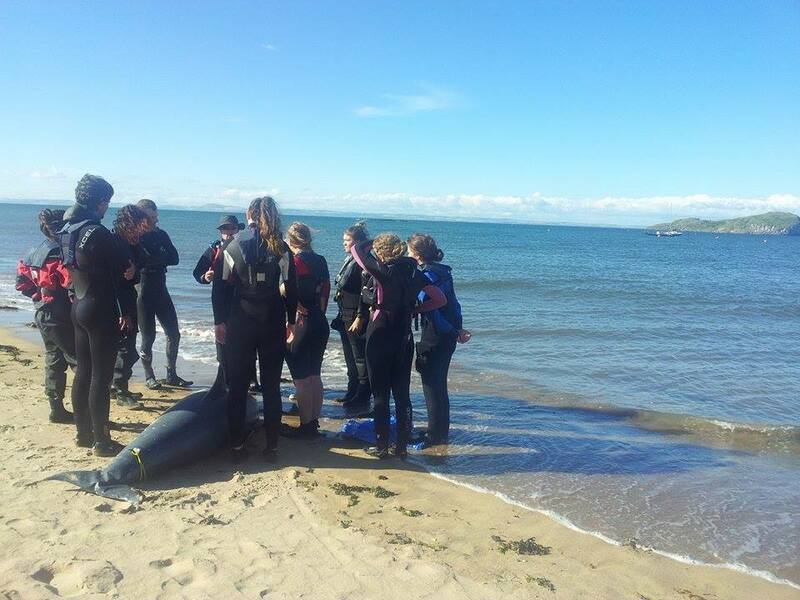 This course trains you to be able to assist in rescuing stranded cetaceans (whales, dolphins, and porpoises) and how to recognise illness and injuries in cetaceans and seals. I know what you’re thinking, what does that have to do with Citizen Science in woodlands? Well, nothing really, I just bloody love whales, and someone’s got to look after those massive magical blobs. 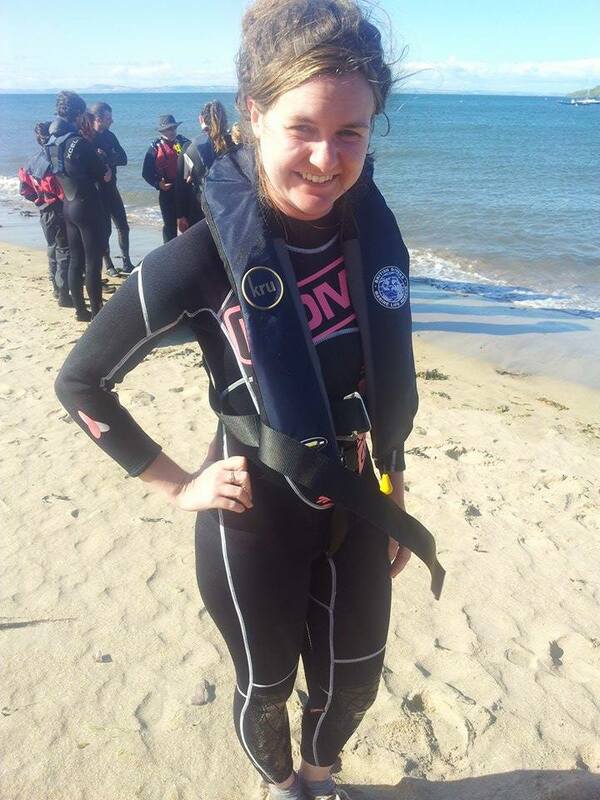 a fetching outfit is essential when saving whales..
Our trainer Colin took us through the theory in the morning, and I was glad of my recent first aid course, as much of the process of assessing cetaceans and providing them with help is the same as giving first aid to humans. 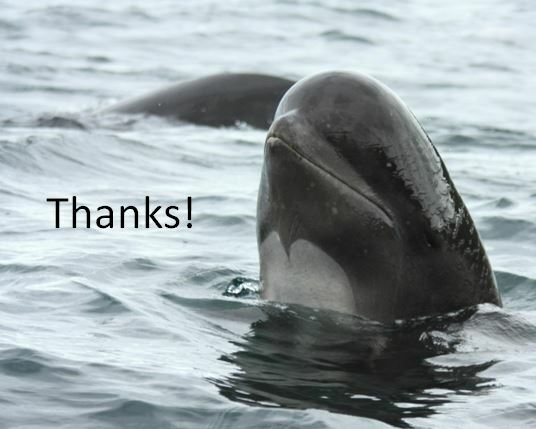 Throughout the course I was amazed to notice other similarities between cetaceans and humans. Parts of the day were surprisingly distressing because of their likeness to us. That sounds egotistical, to suggest that whales are like us, what I mean is, their social and emotional bonds to each other are as strong and unconditional as ours. Like elephants, and chimpanzees, cetaceans feel higher emotions like grief and empathy, and we were shown examples of previous strandings where mother whales would not leave their babies even if it meant stranding themselves on purpose, and where large groups of pilot whales all strand together because one of their group got into difficulty, and the rest of the group would not leave it. There is an unacceptable amount of litter and waste in our oceans which is having a devastating effect on our wildlife. Many animals such as whales, turtles, sharks, seals, birds, and dolphins, are accidentally eating or becoming entangled in rubbish which all too often leads to their death. Plastic never truly biodegrades, its takes thousands of years to break down and even then it doesn’t really every disappear; it just becomes little pieces floating in the sea. In some areas of the ocean it is thought that tiny pieces of plastic outnumber plankton 26:1. These plastic pieces, and the toxins within them, are ingested by animals and bio-accumulate in their bodies, they are then magnified up the food chain and humans now have plastic toxins in their bodies from eating seafood. That is just some examples of how plastic is ruining our planet, and the huge scale of this problem is often only demonstrated when litter is washed ashore on our beaches. 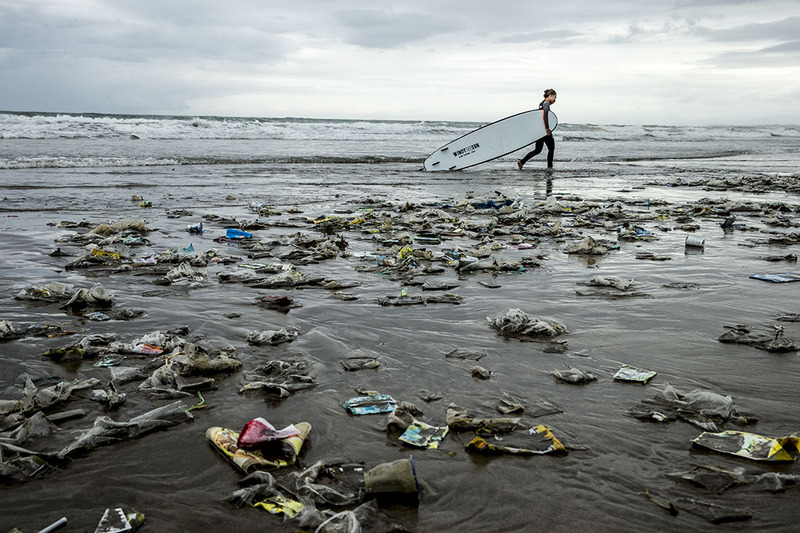 It is estimated that 8 million tons of plastic ends up in the ocean every year. To say the statistics are depressing would be a massive understatement, but there is something you can do to help! 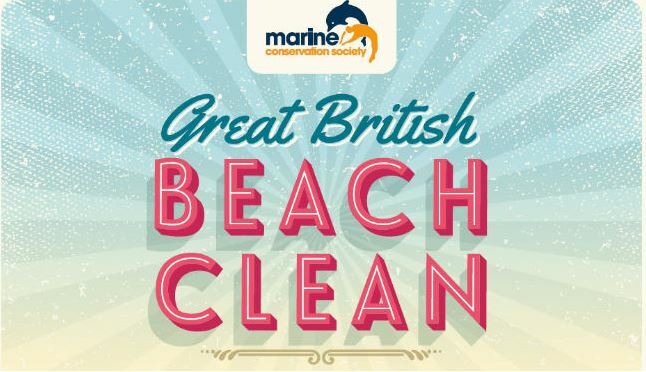 The Great British Beach Clean, which runs from the 16th – 19th September, is more than just a litter pick. 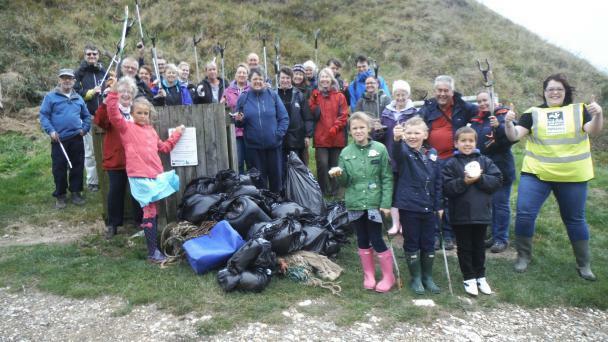 By recording what type of litter you find and where, with as much detail as possible, conservationists can work out where the litter is coming from and what needs to be done where to minimise damage and identify large waste producing areas and industries. Take a look on the Marine Conservation Society’s website to find a beach clean and survey near you or how to organize your own one! Best of luck and happy beach cleaning! Remember, those blobs need you.